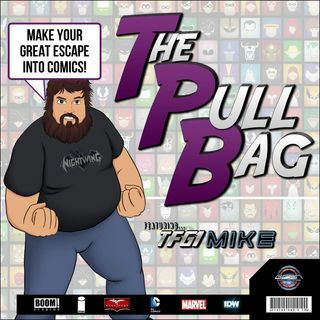 In Episode 310 of The Pull Bag join TFG1Mike and JT from Saskatoon head to the Grimm Fairytales universe from Zenescope Entertainment! We are here talking about the 10th anniversary one shots Zenescope put out a few years back. Included in these 6 one shot issues are stories featuring Death, Snow White, Alice in Wonderland, Red Riding Hood, Cinderella, and Van Helsing! Stop on by for some horrific fairytale goodness! As always Make Your Great Escape Into Comics!! !